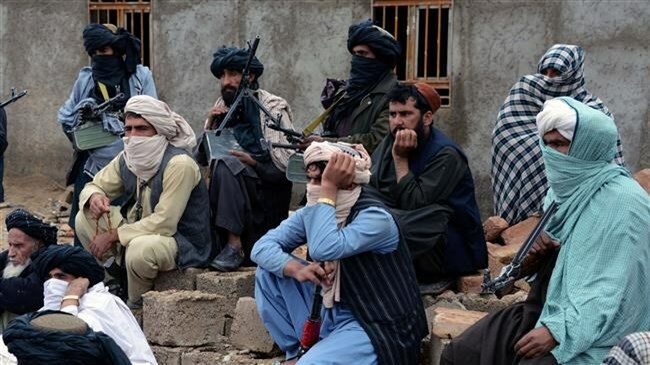 KABUL: The Afghan Taliban on Saturday announced a surprise three-day ceasefire over the Eid holiday in the middle of June, their first offer of its kind, following a ceasefire announced by the government on Thursday. The militants said foreign forces would be excluded from the ceasefire and that operations against them would continue. They also said they would defend themselves against any attack. “Members of the Taliban should not participate in public gatherings during the Eid festivities because the enemy could target us,” they said in a statement. There was no immediate response from the government. It was not clear exactly when the ceasefire would begin, as Eid starts when the moon is first sighted, but Afghan calendars mark Friday June 15 as the end of Ramadan. Eid is the biggest festival in the Muslim calendar when families visit each other’s homes, enjoy feasting and in Afghanistan tend graves of fallen loved ones. The Taliban have launched attacks during Eid in the past. Afghan President Ashraf Ghani announced an unconditional ceasefire with the Taliban on Thursday, until June 20, but excluding other militant groups, such as Islamic State. Ghani’s decision came after a meeting of Islamic clerics declared a fatwa, or ruling, against suicide bombings, one of which, claimed by Islamic State, killed 14 people at the entrance to the clerics’ peace tent in Kabul. The clerics also recommended a ceasefire with the Taliban, who are seeking to reimpose strict Islamic law after their ouster in 2001, and Ghani endorsed the recommendation, saying it would last until June 20. Ghani has urged ceasefires with the Taliban before, but this was the first unconditional offer since he was elected in 2014. In August, US President Donald Trump unveiled a more hawkish military approach to Afghanistan, including a surge in air strikes, aimed at forcing the Taliban to the negotiating table. Afghan security forces say the impact has been significant, but the Taliban roam huge swaths of the country and, with foreign troop levels of about 15,600, down from 140,000 in 2014, there appears little hope of outright victory. The Taliban’s surprise announcement comes as Trump and North Korean leader Kim Jong Un are due to sit down to a summit in Singapore on Tuesday, something few people would have predicted just months ago when threats between the two sides were at their most bellicose.